If you are creating a new website, you’re probably hoping to get traffic from the search engines. It’s not as easy as many people think but it can be accomplished with some effort. One of the first steps is creating a site that is “search engine friendly”. Even though this will not guarantee you top rankings in the search engines, it is the necessary first step. Without a search engine friendly website, any other future investment of time and money in search engine optimization will be less effective. The best way to make a site Search Engine Friendly is to make sure it is not UNFRIENDLY in the eyes of the search engines. Many novice website creators make crucial mistakes like failing to include appropriate keyword content, using slow loading images not optimized for the web, or using questionable spammy techniques in an attempt to trick search engines. These are easy things to avoid but if you don’t know they are MISTAKES, they will be difficult to avoid. It’s important to choose a website designer that understands how to create a site that cooperates with the search engines at the most basic levels. 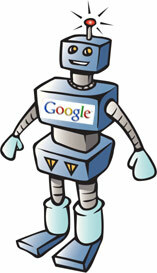 Search engines have “robots” that scour millions of sites daily to update their index. As a website owner, you want to make sure that the search engine robots find your site easy to navigate and can easily determine what your website is about. One of the most basic ways to accomplish this is with keyword optimization. If you are a massage therapist in San Diego, this does not mean that you hide text at the bottom of your site with the words “san diego massage therapist” repeated hundreds of times in different orders. This is exactly the type of spammy technique I was describing in #1 above. Appropriate keyword optimization should happen naturally but it can also be enhanced through the use of image tags, meta keywords, descriptions, appropriate page titles, and keywords used throughout your content. Including appropriate keyword optimization on your website does not guarantee that you will rank on the first page of the search engine results for your keyword. 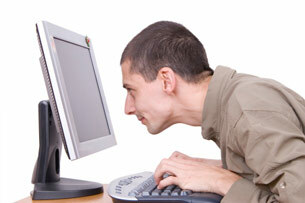 It simply ensures that the search engines will be able to easily determine what your website is about. This is one of the first and crucial steps in building a search engine friendly site. You wouldn’t have an open house for the sale of your home without first cleaning the house and putting everything in order. In the same way, don’t let the search engine robots come to your site without it being “cleaned” and optimized for your targeted keywords. I build sites that are clean, simple, and easy to navigate. In the past, visual appeal of a website did not affect search engine rankings, but search engine ranking algorithms are becoming more intelligent. Search Engines now look at usage metrics like how long visitors stay on your site and if they return to your site to determine if your website is of high quality. Search engines want to include useful sites in their index to improve their own image and usefulness. So if your site is useful, easy to navigate, and has a clean and appealing design, this will result in good usage metrics and better rankings in the search engines. 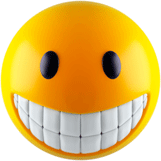 Be friendly to the search engines and they will be friendly back. If you are building a site yourself or hiring a web designer, make sure you ask them what they are doing to make your website search engine friendly. If you become one of my clients, you can rest assured that the steps I mention above will all be carefully implemented into your new website. I know this isn’t a complete description of SEF. Share your additions to the discussion in the comments below.